Many B2B lead generation companies that provide different strategies for acquiring high-quality B2B leads. It is just a matter of knowing which strategy works best for your business. Making a decision as to which one to consider is complicated if not financially exhausting. You will have to step up your market research initiatives and set up an automated marketing system to keep track of your prospects as they progress through your sales pipeline is a staple efficient lead nurturing; still, you will have to make hefty investments. Check out, The Four P’s Of Sales Leads Nurturing. However, most of the time automation isn’t really enough. You would need hands-on expertise to make sure your lead generation efforts are not put to waste. B2B outsourcing, contrary to some, still professes a high level of discipline and professionalism whatever industry they are working with. Many businesses still think outsourcing as a cost-efficient way to boost B2B performance. Even now that market vibrancy has reached a point of high activity and competitiveness, outsourcing continues to be a viable option any business to compete in the market. If you haven’t made a decision yet whether to hand in your lead management and sales processes to an expert, consider these following points on what to expect when you outsource your lead generation campaign. Whenever a B2B lead generation company hand over a lead to you, they provide business opportunities for your sales team to convert into a closed sale. However, most of the time, their clients think more leads means more closed sales. According to frontspin.com, 47% of B2B marketers mentioned that only 4% of marketing leads actually closes because leads need further qualification before it can be passed down the sales funnel. Having qualified sales-ready leads means your sales team will not waste their time following up on prospects that aren’t really interested in buying from you. Here’s how to identify if a prospect is worth pursuing? B2B lead generation companies invest in their employees. They make sure all team members have the following qualities. Here’s why you should leave your lead generation campaign to the expert? B2B lead generation firms know the importance of client transparency. They provide their clients access to their tools to keep track of their leads. Monitoring and managing of leads are important. As well as knowing what’s going on in your lead generation campaign. 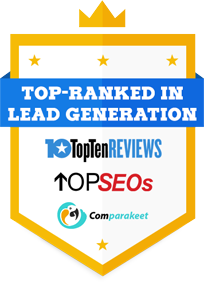 Tools provided by lead generation companies provide results that allow not only their clients but their team as well to evaluate and find out which of their sales and marketing efforts are working and which one is not. There is always a constant need of balancing your company’s priorities. With outsourcing, your sales team will be able to operate important marketing and administrative tasks without neglecting the quality of leads that are coming in and just focus on the leads that convert. Face it. We all need a few extra hands. With a B2B firm doing the cold calling, telemarketing and appointment setting for you, you will be able to focus on the more important administrative task to help your business grow. When you partner with a B2B firm, your core business processes can go uninterrupted. High levels of uncertainty complicate the B2B industry and solutions are needed to keep the operation running smoothly whatever event might transpire. With B2B outsourcing, aside from having consistent leads handed down to your team, you don’t need to worry about extra manpower to reinforce your lead management and lead nurturing in the event of sick leaves and vacations among your in-house staff. In B2B outsourcing, what matters most is the performance in your lead management and where to put all of your telemarketing efforts. Hiring a firm to do these responsibilities on your behalf is a sure step towards maintaining a firm support for your business.